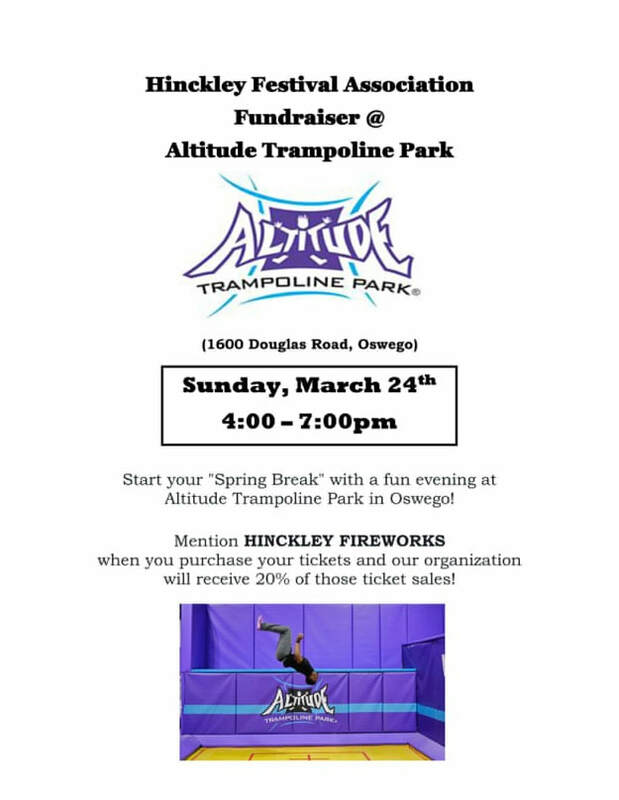 • Come jump and have fun at Altitude Trampoline Park on, March 24 from 4-7pm. • Altitude will donate 20% of the ticket sales to Hinckley Festival Association! • The amount is donated from everyone who brings in the flyer (smart phone counts, too) or mentions Hinckley Fireworks when they buy their tickets!